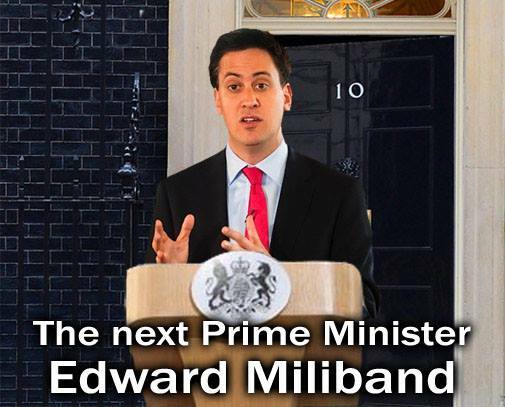 Ed Miliband is on course to become a radical, reforming, innovative PM. Ask yourselves why the Tory party, UKIP anf the corporate backed media are so frightened of him that they create hysterical fiction in order to oust him. Keep Calm and Back Ed. We will win this and return this country to its soul, humanity, decency and community. Odd, isn’t it, that the media didn’t declare that Cameron’s leadership is in crisis, recently, with the two high profile UKIP defections. .
Rumour-mongering in the media, paraded as newsworthy headlines about “discontent” over Miliband’s leadership is based almost entirely on two cowardly backbenchers – who have curiously chosen to remain anonymous and thus remain conveniently unquotable – grumbling about Miliband. Welcome to the new era of media amplified political campaigning Crosby-style: the politics of spite.